Let the professionals at King Contracting LLC help make your property look it's best. 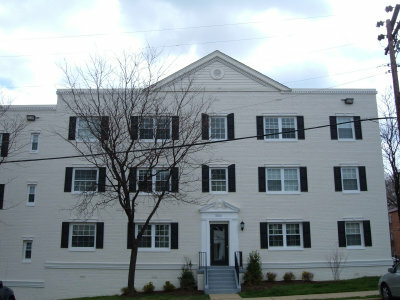 We are an exterior renovation company creating new looks in commercial and residential communities in Northern Virginia and the Washington, DC metropolitan area. 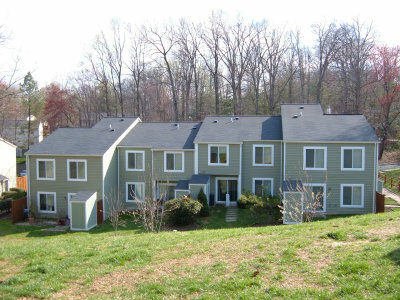 We specialize in working with community and homeowner associations, apartment and commercial property owners. This is the most common and cost-effective type of roofing available. These products have manufacturers warranties ranging from 20 years to a lifetime. Although we have seen defects in some products, the core design in these products have withstood the test of time and are tough to beat. Made from cedar trees, this roofing has a lifespan of 12 years or longer, depending on the application and whether they are pressure treated or not. Accessories can be added to make them last longer. Slate roofing is another natural product and comes in different grades: S1, S2 and S3. 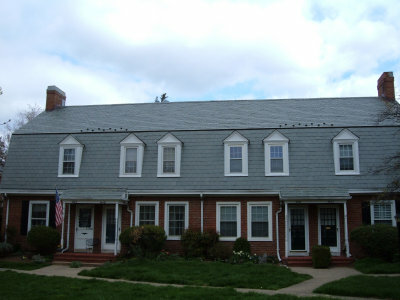 Slate roofing can last more than a lifetime, some up to 150 years. Synthetic shingle roofing is comprised of recycled tires, plastics and other materials. Many eco-friendly synthetic slate products have come to the market place recently with long life spans and they look beautiful once installed. Used mostly for commercial applications, flats roofs are another system that we offer, including TPO (ThermoPlastic polyolefin) single-ply roofing membranes. TPO comes with a 15- to 20-year warranty. We also install EPDM rubber roofing, which has a lifetime of 15 to 20 years. Buildings clad with vinyl siding will never chip, crack or peel. The siding won’t absorb water so it won’t swell or rot and properly installed vinyl siding won’t come loose even when the wind assaults it at up to 110 mph. 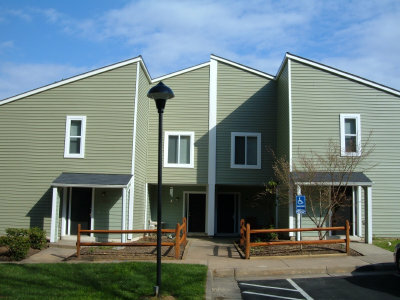 Vinyl siding is the most cost-effective and long-lasting siding in our market. It looks great and stands up to the elements. Choose from lap or vertical variations, as well as cedar shake imitations. All HardiePlank lap siding is known for it's strength, beauty and durability. It comes in a variety of looks, textures and colors. It also comes already primed in case you prefer a specific color not available. HardieShingle siding has the same warm, authentic look as cedar shingles, yet it resists rotting, cracking, and splitting. It's beautiful as a primary siding or as a complement to other styles of siding. We offer corrosion-resistant seamless aluminum gutter systems that come in two sizes and eight different colors. We also provide copper gutters for those who need a historic, bold look. Additionally, we install gutter guards to provide leaf protection to keep the bulk of debris out of your gutter and prevent clogs. We can clad existing wood trim with color coated aluminum which is the most cost effective option and maintenance free or replace trim using a synthetic or cement fiber product. Aluminum siding was popular in the '70's and is still available but color selections are limited.